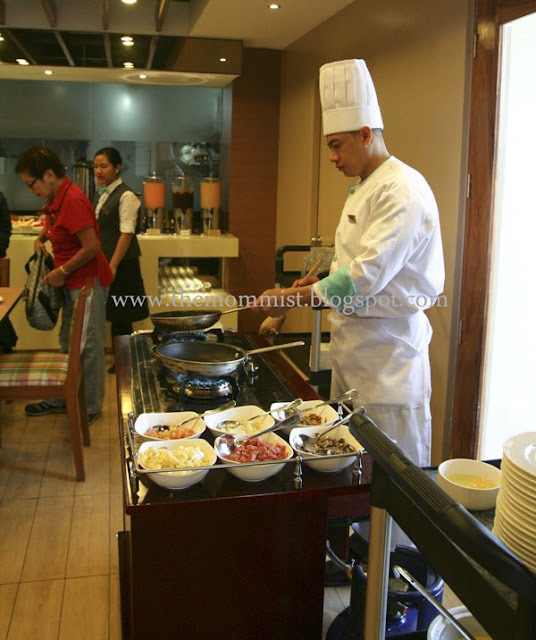 One of the perks of staying at Azalea Residences Baguio is due to their complimentary buffet breakfast at Tradisyon Coffee Shop. The place is clean, spacious, and well-lit, most of which comes from the natural light coming from the floor-to-ceiling windows. The interior invokes a touch of Filipino craftsmanship through the capiz shell pendant lights. 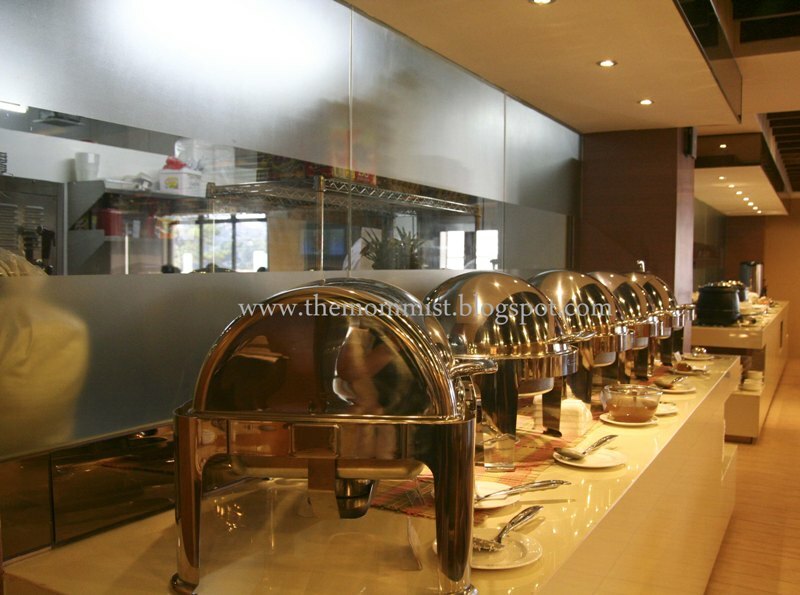 The breakfast choices includes garlic fried rice, steamed white rice, crispy fried dried espada, beef tapa, corned beef, buttered fresh vegetables, and fried spring rolls. The choices daily differs. Personal favorites are the crispy fried dried espada and the beef tapa. The beef tapa's well marinated and very tender! 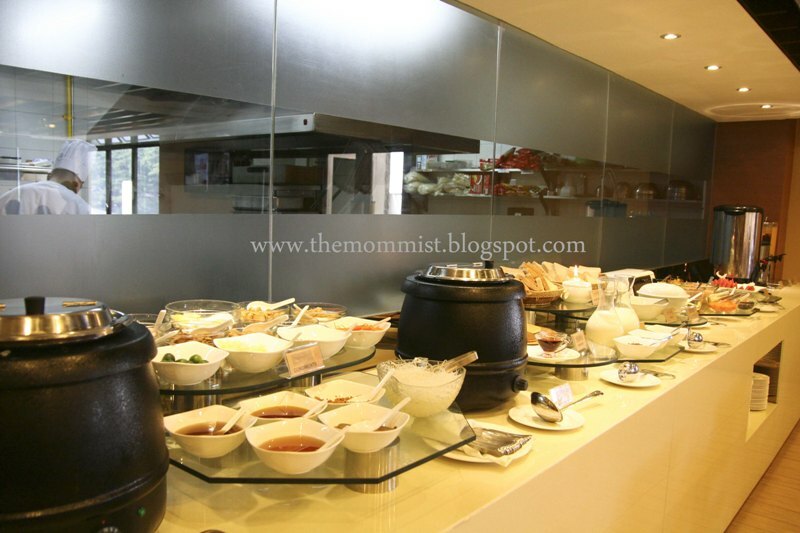 The well stocked create-your-own stations - Congee, Salads, Pancakes, and Toasts. 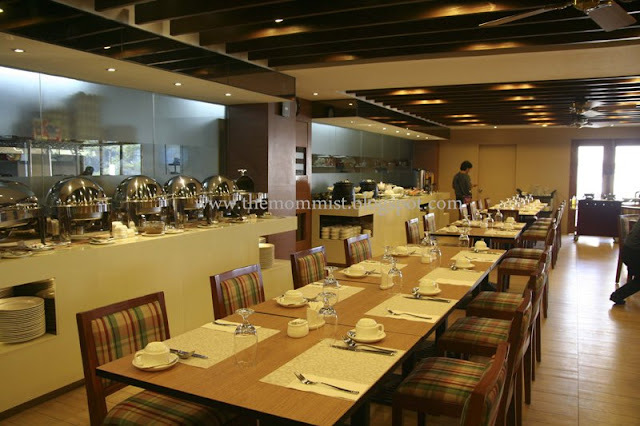 The buffet also includes different kinds of hot and cold drinks namely brewed coffee, tea, hot chocolate, iced tea, orange juice, and apple juice. 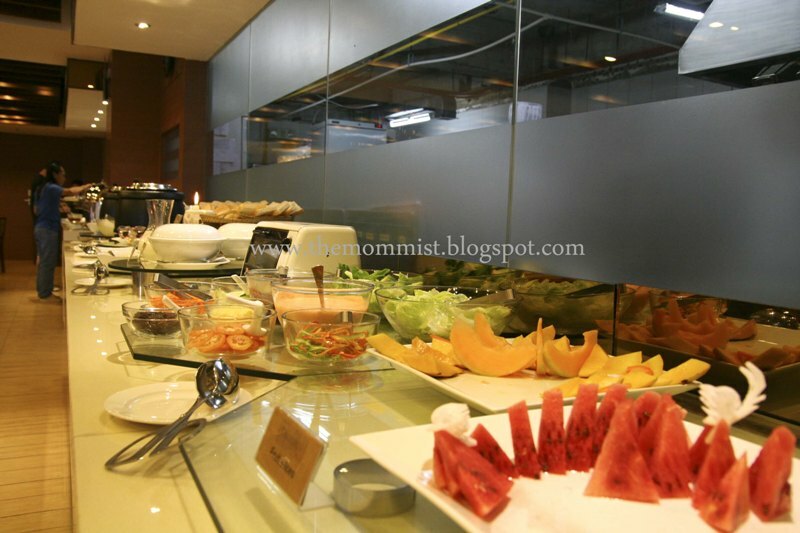 They also serve a selection of fresh fruits. A must-try is this omelette station! If you're into the ultra-healthy lifestyle, you can request the very courteous and friendly omelette master (below; I forgot his name) to whip up an egg-white omelette. Two-thumbs up!!! The good food most certainly made up for the limited choices plus the service was impeccable! HOW TO GET THERE: From Kennon Rd., go straight to Governor Pack Rd. then turn right to Governor Center Rd. then take a u-turn to North Drive then you'll hit Leonard Rd. Right after the Laperal Mansion, you'll be able to see an Azalea Residences tarpaulin on your left side. Turn left on that street. Straight ahead is the Azalea Residences. 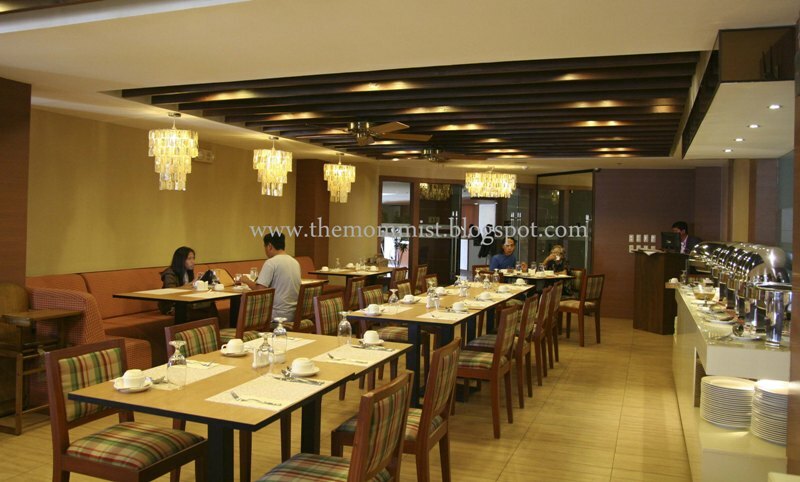 DISCLAIMER: We paid for our stay at Azalea Residences. We were not given any comps or freebies before our stay, during, or after. We are not connected with them in any way. Thank you! I did actually. :) Just a little bit of everything.